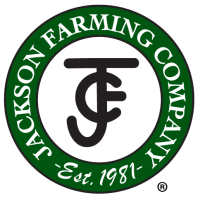 Jackson Farming Company updated their company logo, website, and amped up their social media presence. We have bought new farms every year to expand our acreage. of sweet potatoe curing rooms with the added capacity of 60,000 bushels. Our cantaloupe facility was completely upgraded to top-of-the-line technology and enclosed to provide a more sterile environment for washing, grading and packing. The new facility gives us 34,000 square feet of packing line and cold storage. JFC was an active participator in the creation of the Eastern Cantaloupe Growers Association. We are a certified member and adhere to the elevated standards for growing and packing cantaloupes. A complete generator system was installed at JFC to protect the cooling facilities during a power outage. We built our first sweet potato packing shed and curing rooms were built. The new rooms gave us 40,000 square feet of storage and the ability to cure 90,000 bushels. 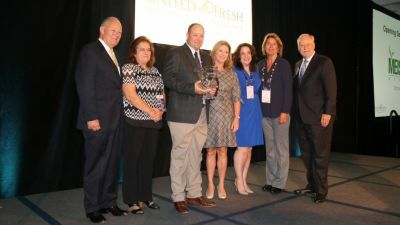 Jackson Farming Company purchased a new watermelon washing and packing line that gave them the advantage of using better technology for watermelons. This gave us 29,000 square feet of packing space. We built a new 32,000 sqaure foot machine shop. We also added a 7,000 square foot state of the art chemical warehouse to reduce the risk of chemical spills. Jackson Farming Company expanded the warehouse even more. Now it has been expanded to its current state. We also added in three more forced-air cold storage units, bringing our cooler count up to seven. We added in three more forced-air cold storage units. We purchased our cantaloupe washing and packing line. We also expanded our packing shed to allow the cantaloupe line to be covered. We expanded our packing shed, and put in our first forced-air cold storage unit. The first packing shed was constructed at JFC. Jackson Farming Company founded by Brent and Debbie Jackson. The company started with just five acres of owned farmland, and had additional rented land in the area to use (approx. 200 acres). Here is the original logo, designed by Brent Jackson.